Frogg Mill is thought to be the grist mill (flour mill) in what would later become the Manor of Hendford and was mentioned in the Domesday Book of 1086 "There is a mill worth ten shillings". The mill was almost certainly a predecessor of Frogg Mill which was still operating into the twentieth century. 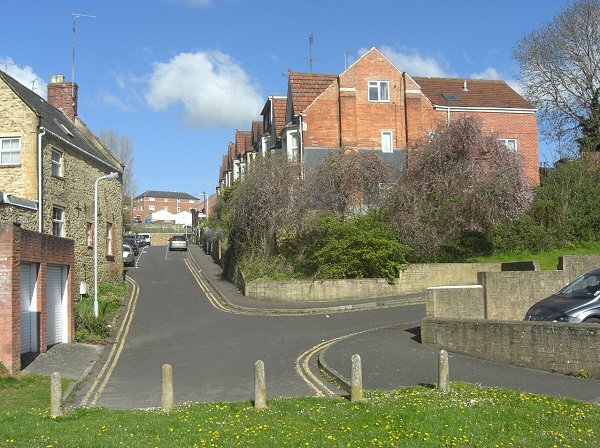 Mill Lane, giving access to the mill from Addlewell Lane, almost certainly dates from that time as well and, consequently, is one of Yeovil's oldest roads. The 1633 Survey of Kingston records "a lane called the mill way formerly held by Mathew Hacker deceased, is now in the hands of the lord on the surrender of Elizabeth, formerly Mathew’s wife." 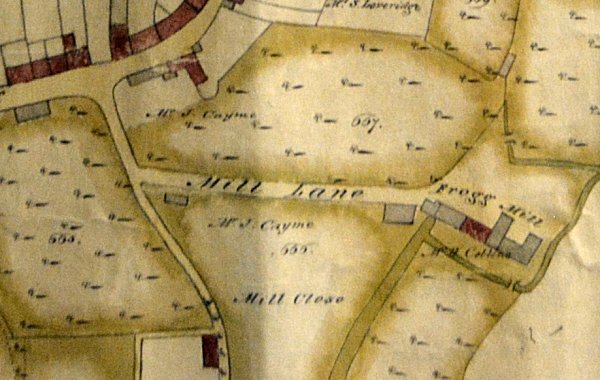 Apart from the mill and one other building, which still survives and is seen on Watts' map of 1806 and several photographs below, Mill Lane was completely devoid of buildings for centuries. E Watts' map of 1806 (see below) reveals that James Cayme the elder, a dowlas and ticking maker, had extensive land holdings either side of Mill Lane. This included his large house on Back Street (today's South Street) with extensive gardens and a large orchard at the rear stretching all the way to Frogg Mill. In today's terms his South Street frontage ran from the corner of Addlewell Lane as far as the old Gaumont cinema while his garden and orchard stretched from South Street to Summerhouse Terrace. On the other side of Mill Lane he owned the large three-acre field called Mill Close - again, in today's terms, it included the whole of Central Acre and ran as far as the western side of the Gateway. By 1831 Thomas Fooks, an affluent glove manufacturer, owned the house, gardens and orchard and John Glyde owned Mill Close. According to the 1846 Tithe Apportionment, the house, garden and orchard to the north of Mill Lane was the property of Thomas Fooks, known as Park Street House, which later became the home of his son, glove manufacturer William Fooks, and later the home of Ebenezer Pittard. The 1890 Ordnance Survey still shows Mill Lane devoid of buildings but by the time of the 1901 Ordnance Survey the whole of the southern side of the road had been built up with Woodland Terrace. Having said that, Collins' Directory of 1907 called it Mill Road and only listed four residents. 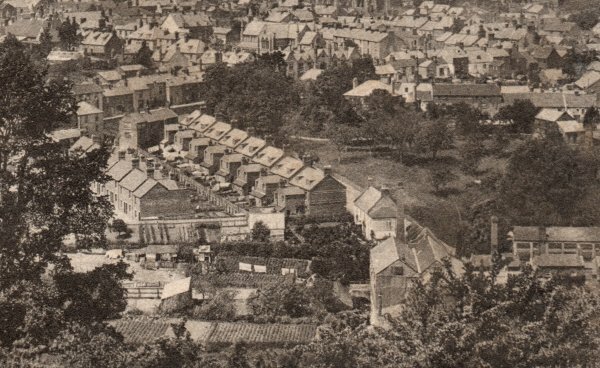 The northern side of the road was still an orchard in 1903 but the current terrace of housing was built around 1910. It was Ebenezer Pittard who sold off most of the land to enable speculative housing to be built along the north side of Mill Lane. 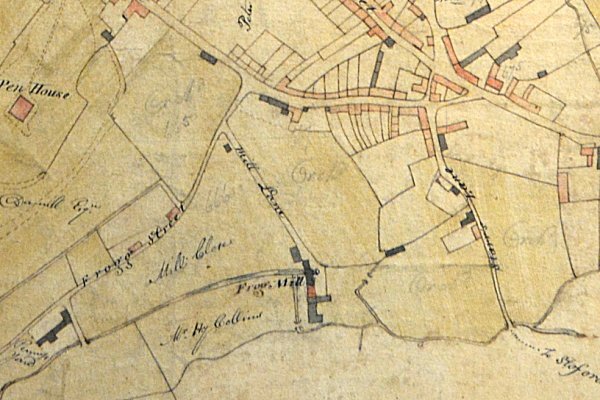 E Watts' first map of 1806 shows Frogg Mill, centre bottom, at the end of Mill Lane. At this time the mill belonged to Henry Collins. E Watts' second map of 1806 shows the land either side of Mill Lane owned by James Cayme the elder. An enlargement of part of a postcard sent in 1904. 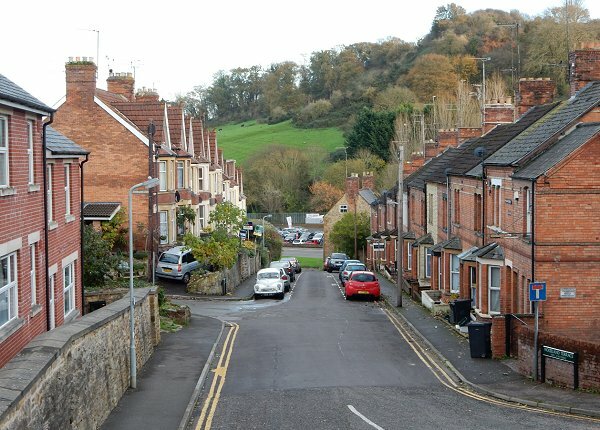 Mill Lane, at centre, only has houses on the western side while the eastern side remains the orchard of Park Street House. 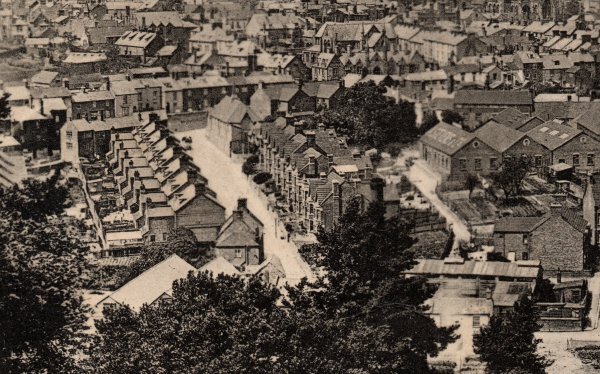 Almost the same view - an enlargement of part of a postcard sent in 1922 with Mill Lane, left of centre, with houses on both sides of the road. 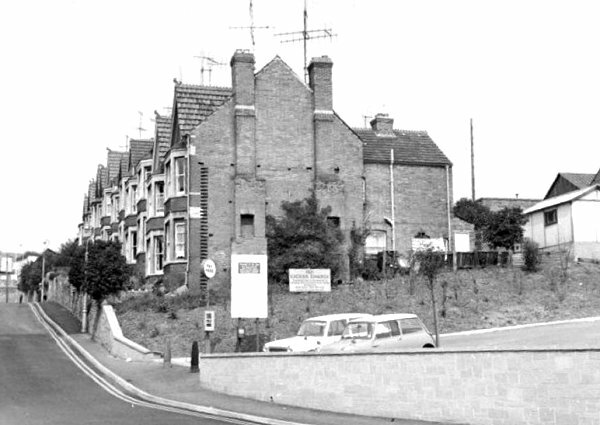 This photograph was taken in the mid-1960s from the end of Mill Lane. 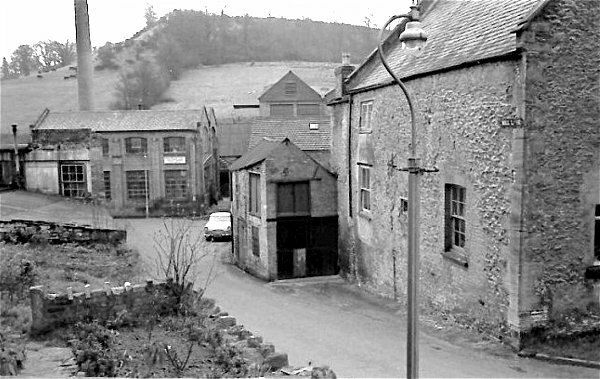 The small building at centre was all that remained of the former Frogg Mill. Summerhouse Terrace ran away to the left at the end of Mill Lane. The house at right, which still stands today, is shown on Watts' map of 1806 as the only building in Mill Lane (apart form the mill). 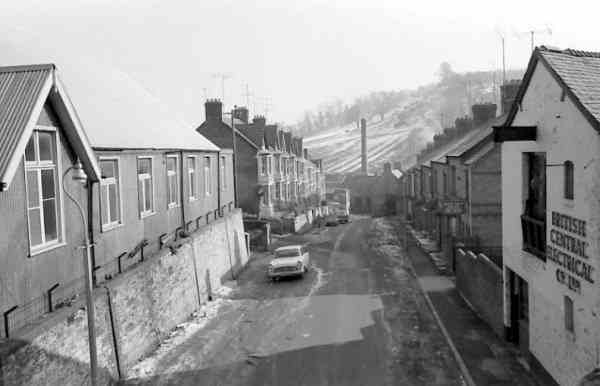 Mill Lane, seen from Summerhouse Terrace and photographed in 1963. .... and pretty much the same view seen around 1970. Stars Lane car park is at right. 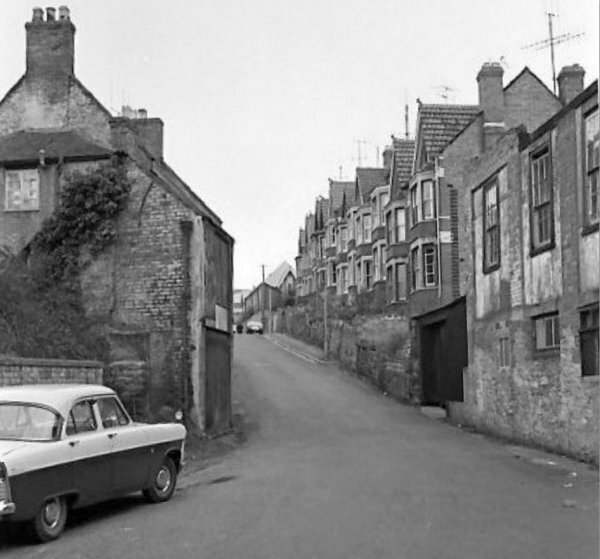 Looking down Mill Lane in the mid-1960s with the green Holy Trinity Hall at left that housed the 'Teen Beat' youth club. 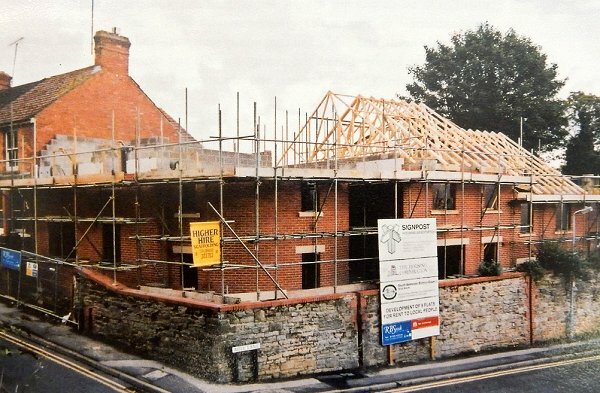 The Holy Trinity Hall has gone, and new affordable flats for rent being built on the corner of Mill Lane by the Signpost Housing Association. Photographed in 2000. Mill Lane, looking towards Summerhouse Hill. Photographed 2014. .... and Mill Lane seen from Summerhouse Terrace. Photographed 2014.